To say that LG’s mobile division is doing well is preposterous. The company has been losing chunks of money on its mobile division, though it gets dwarfed beneath their booming home applications business, it hasn’t stopped the company from producing great smartphones. And if the leaked specifications of the LG V40 are true, then it is also going to be an amazing smartphone and may very well be the best Android smartphone of the year. The LG V series has always had some great tricks in its imaging and audio department. The devices are built with amazing audio capabilities on board also. The LG V20 was the first device to ship with the QuadDAC on- board giving amazing sound quality even on the budget headphones. 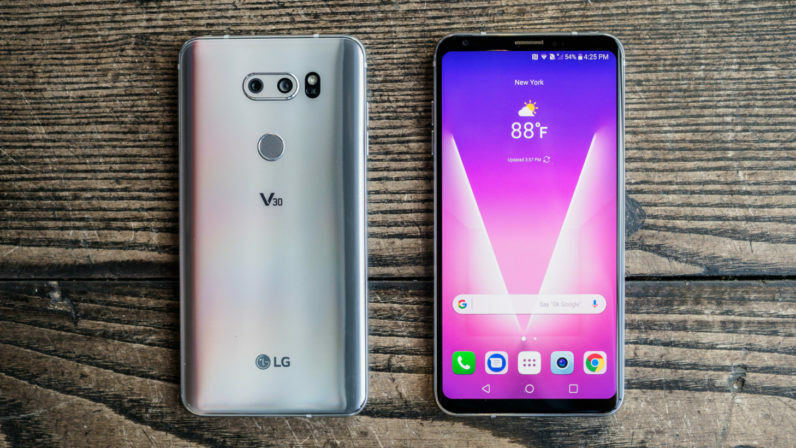 The LG V30 came with a great cinemesque camera and an OLED display, the first for an LG device in years. The LG V40 is rumored to house five cameras in total, making it the device with the maximum number of cameras in the world. The back cameras would be a triple- camera setup and would house the usual in LG smartphones, a normal wide angle lens, an ultra wide- angle lens and the third lens would be a telephoto one. The sensors are rumored to be 20MP, 16MP and 13MP ones. The dual front-facing cameras would enable LG to provide 3D facial recognition in the smartphone, making them possibly the first Android vendor to ship a device containing the feature. The smartphone is rumored to have a 90 percent screen to body ratio, giving the device ultra-thin bezels. LG is rumored to feature a bezel-less- design that is different from convention. ( Could LG be surprising us by building an in- display fingerprint reader ) Whether that means the inclusion of a notch or not, is yet to be seen as no reports currently seem to confirm or deny its presence. Apart from that, the device would have the usual 2018 flagship specifications. The processor on- board would be the Snapdragon 845 and it would be coupled with 4GB and 6GB of RAM and come in storage variants of 64GB and 128GB, 256GB yes that may also be possible. The QuadDAC Aand the DTS:X virtual sound are also expected, and so is the dedicated Google Assistant button of the LG G7 ThinQ. The V40 would also carry the ThinQ branding, which LG has been giving its flagship devices lately. The display would be a QHD+ one and may be larger in size than LG G7 THinQ’s one. The Boombox speaker of G7 ThinQ, is still noot conformed for the device, though logically it seems that LG would choose to pack it into the device also. LG is rumored to release their device in late September or early October to prevent overshadowing by the 2018 iPhone lineup and the Galaxy Note 8. 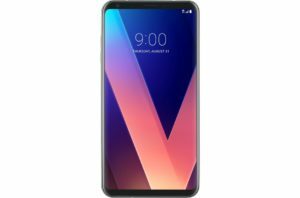 Though if the rumored specifications of the LG V40 are true, then I personally wouldn’t look at the other devices, spare enough considering buying them. Sony Xperia XA2 Plus unveiled.